Recently I read something hateful. It was written with the intention to harm another individual and while I was not the person this anger was directed towards, I felt the pain the intended recipient must have felt.The ugliness that exists in another human being to lash out with the intention to do harm is sad. This horrid act has bothered me, but I remembered something that was shared with me many years ago. Audrey Hepburn was asked to share her beauty tips for American Movie Classics magazine. Her thoughts on beauty made such an impact on me and I still have a copy, which I reference on occasion. It is my standard for evaluating my own beauty and the beauty in others. So many people would benefit from following Audrey’s measure of beauty, not just for themselves, but for those in their lives who are affected by their actions and words. This beauty brings about happiness within ourselves and is a gift to others. How fortunate for all of us that Audrey shared her wisdom and beauty with the world. All this time I thought she was just a pretty face. Now I know she was all that and more. Again, great post Kelly. I enjoyed reading it. Keep ’em coming. I adore Audrey. Not just because of the actress that she was, but because of all she gave to the world. She was such the humanitarian. She walked the walk and did what she suggests in this list. Now I will have the list and refrence it often. Thanks for sharing. Audrey Hepburn was a wonderful inspiration for women to aspire to be like. And it had/has nothing to do with how she looked or the clothes she wore. It was the inner beauty that radiated so brightly. Wow! Thank you for writing about me on your blog. I am headed there to read now. Ms. Hepburn was the epitome of class and style. Thank you for sharing her beauty tips. They should be taught to all young girls from the first time we play dress-up. Lisa recently posted..Up and At ‘Em…. What a wonderful post! 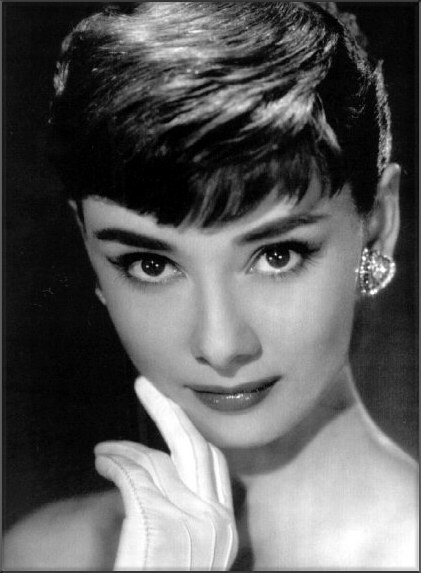 I love Audrey Hepburn–I’ve always thought she was so freaking classy. I wish style, class, and beauty like that were still the standard. Wow that was amazing, thank you for sharing that! Oh Kelly, wow, what a beautiful reminder and wonderful words to convey them. This was such an important and heartwarming piece about what really matters, what we as women need to start focusing on and laying off the judgement of ourselves and each other. As always, your post moved me. Kir recently posted..What Do You Do When Your Crush Comes A’Callin? Thank you Kir. Audrey Hepburn’s words and how she lived her life has always been inspiring for me. I am happy to spread her insight. I just finished watching Breakfast at Tiffany’s and as I was learning more about who Audrey was as a person, I found this picture and your site. Thank you for that beautiful list. It is a reminder that others are more important than ourselves, and to be truly beautiful, you must be beautiful on the inside. Thanks for visiting my site! I am so happy you found this post because it is something I do hope to share with many. She was an exceptional woman. Lovely thoughts. Struck me that this applies equally to men. You might change a word here and there to ‘nut it up’ so to speak, but the handsomeness of men comes from within as well, and no amount of metro grooming or strength training can override the character within. I agree with you completely Jonah. Sadly it is women who struggle the most with the concept of beauty which makes Audrey’s words so powerful. Wow, this is powerful! If I didn’t love Audrey enough already… Really brings you back to what it is really all about, especially in the midst of all the media and hype that tells you otherwise. Thanks, needed this today. I agree. I love Audrey too. Thanks for visiting! It’s always wonderful to “meet” another Audrey fan! Previous post: Can you lick your own armpit?